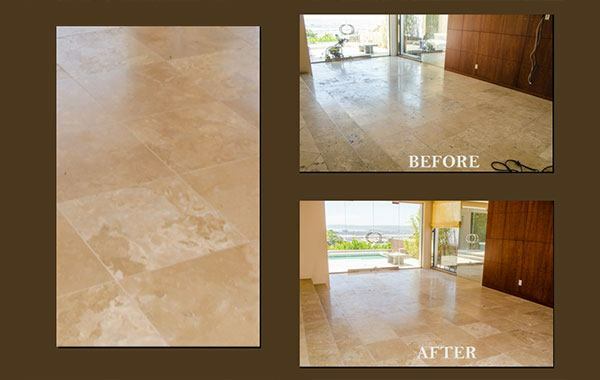 In a beautiful home overlooking the San Diego Airport, Harbor, and Bay, this fifteen-year-old travertine floor was in desperate need of repair and restoration. Travertine is a unique stone in that it has naturally occurring holes, which are either left alone, for a rustic, old-world look, or filled, for a smooth, elegant finish. This homeowner preferred the latter, but after fifteen years, some of the holes in his filled travertine floor had become exposed. 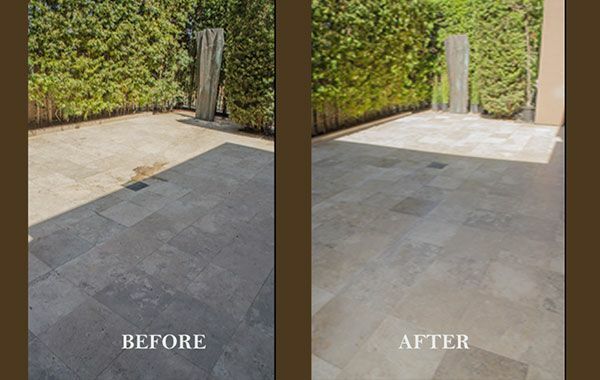 Between this and the damage that comes with every day use, such as scratches, chips, and an overall dull look, the homeowner was ready to see what kind of difference Set In Stone Restoration could make. First, we filled in the holes with a color-matched epoxy. Then, we honed the floor to remove surface damage and achieve a smooth surface where the holes had been filled. 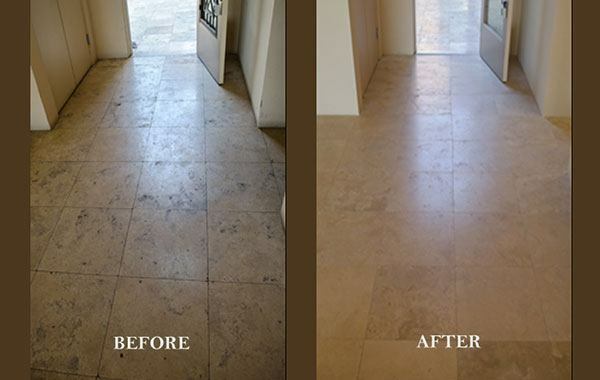 Finally, we polished the floor, restoring the appearance of the travertine to its original, elegant finish. 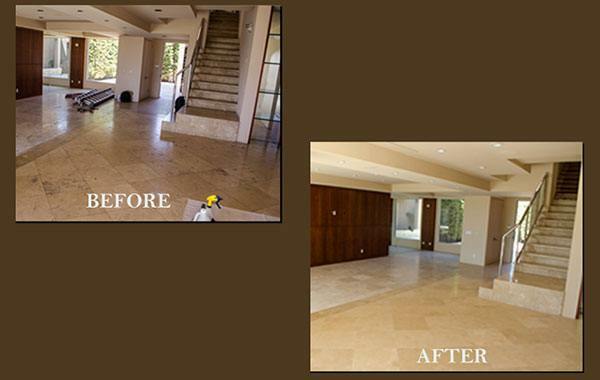 As you can see in the images, our expert travertine floor repair and polishing services produce dramatic results. The homeowner was very pleased with our work, and so were we. 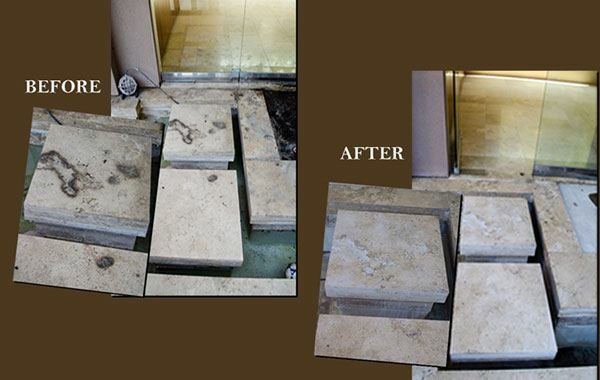 If you need travertine floor honing, marble floor polishing, or any other natural stone repair, restoration, or maintenance, contact us online or call 619-246-0240 today. We will be happy to accommodate any special requests you may have.